The term “signage” is just commercial real estate jargon for signs. Signs have the potential of being a key component in an office lease negotiation. 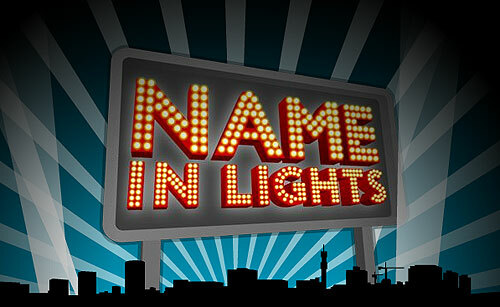 I have negotiated all types during my career and here are some ways to get your name in lights. Typically all landlords grant their tenants to have their company name in the building directory and a building standard sign at the suite entry. Sometimes you may want directional signs if your suite is down a hallway or if it is a large firm of professionals (I.e. attorneys, accountants or physicians), you need to insure you can get separate entries for each professional if needed. This is all routine, but needs to be addressed in the lease to insure you get what you want. But what about your name in shining lights? The first point to understand is that building signs are a privilege granted at the sole discretion of the landlord and THEN it is subject to governmental approvals and permits. Second, if you get your building sign be prepared to pay for it. You will pay for the sign, its installation, maintenance and electrical consumption plus you may have to pay additional rent for the privilege of this building sign. If you want a building sign, there are several types that may be an option for you. The jackpot is Exclusive Building Signage. This is usually a tenant who occupies a substantial portion of a building. They are the only name on the building. Oftentimes tenants pay a high price for this right, particularly by expressways or roads with high traffic counts. The second runner up is simply Building Signage. These signs can be on the side of the building, but may not always be at the top. Sometimes you have one tenant name at the top of the building, but another tenant may have it’s name on the building so it’s seen at street-level or perhaps on the parking garage. When building signage isn’t an option, a tenant can sometimes negotiate a monument sign which is a free-standing sign on the building’s property. There are two types. The best is Exclusive Monument Signage. This gives a tenant a stand alone monument sign just for themselves. No sharing. Another good option is sharing a monument sign with other tenants. The number of tenants vary, so you will want to lock that down in the lease negotiations.